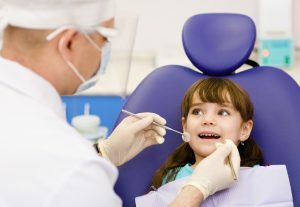 Emergency Pediatric Dentistry: What Constitutes an Emergency Situation? With summer in full swing, kids are more active than ever right now in south Texas. Even with the scorching temperatures, you’ll likely find children at the local ballfields and skate parks and that can only mean one thing: dental emergencies are bound to happen. As a parent, you might wonder what types of injuries fall in this category. In today’s article, we’ll take a closer look at a few types of situations that would be eligible for emergency dental care. The next time your kids come running through the door with an oral injury, you need an emergency dentist you can rely on. At Alligator Dental in San Marcos and Seguin, we provide on-call emergency care for kids. We also offer treatment to walk-in patients between the hours of 7:45am and 9:45am Monday through Friday. Contact us to learn more! As one of the more common complaints we hear from parents and children, toothaches can be caused by many different things. Something as simple as new teeth coming in can put pressure on those already in place, or it could be something more menacing like a fracture that’s causing the pain. If you’ve washed the area gently with warm water and ruled out any chance of impacted food, apply a cold compress and contact our office right away for additional help. Often leaving sharp jagged edges, this is one dental trauma that’s easily spotted by parents. If your child has experienced some sort of trip, fall, or other accident that has left him or her with a broken tooth, x-rays may be needed to rule out root damage. If you notice any kind of color changes within the tooth, such as a pink or yellow tinge, this warrants a visit to an emergency dentist as soon as possible. If your child has somehow knocked out one of his or her teeth, this is something that definitely constitutes a dental emergency. Time is of the essence when it comes to potentially saving the tooth for re-implantation. If the knocked out tooth is not significantly damaged and the re-implantation procedure is completed within an hour, the chances increase for successfully saving the tooth. Contact us right away if your child has knocked a tooth out. In cases of severe trauma, sometimes teeth are pushed up or down into the jawbone. This is referred to as dental intrusion. Teeth may also be displaced after an impact to the mouth. If you suspect your child is suffering from one of these problems, you can apply a cold compress to your child’s face to reduce swelling and give him or her pain-relieving medicine until you can make it into the dentist for emergency care. We understand that dental trauma and oral injuries can be scary for you and your children, which is why our team of friendly and compassionate emergency dentists are here to help. If you’re in Seguin or San Marcos and your child has experienced some kind of dental trauma, contact our office right away. You may reach our San Marcos office at 512-393-3500 and our Seguin office at 830-372-3725. We’ll gladly take note of your child’s symptoms and get him or her seen as soon as possible. Pediatric Dental Emergency? Call Alligator Dental!